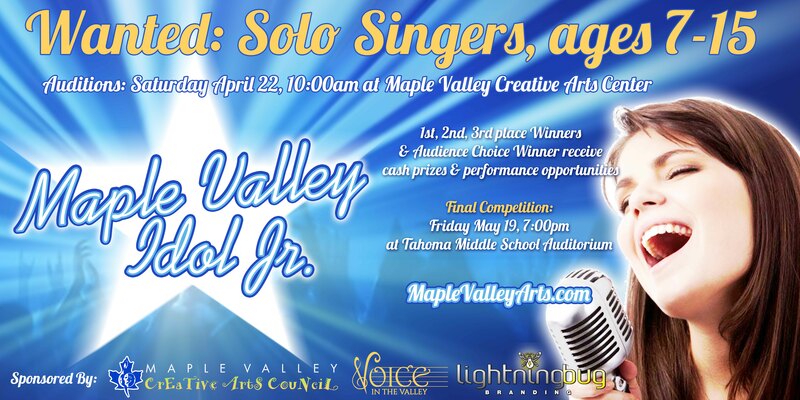 Calling all solo singers ages 7-15 to audition on Saturday, APRIL 22ND, for the 2017 Maple Valley Idol, Jr. Competition! Compete for the honor of being crowned the winner of MV Idol, Jr. 2017 and win cash prizes and multiple opportunities to perform in public during the year. Registration is now open! Only the first 30 singers to pre-register will be auditioned.